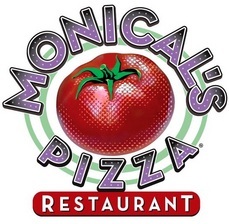 MONICAL’S PIZZA® invites you to participate in a Community Day! our loyal customers and communities. Monical’s Pizza® will donate 20% of your bill* to Willow Tree Missions. Don’t miss your opportunity to help out! Please remember that this special is ONLY good on October 15th, 2018. Tell everyone to join in! With Monical’s Pizza®, you’re raising money by eating great food. What could be easier? You will need to download this flier and bring it to Monical's. You can also pick up a copy of the flier at our resale shop. Click here to - Download the flier now. Willow Tree currently provides victims and families of domestic violence with help in the form of legal advocacy, prevention services, education services, escape and safety planning, Neighbor House Home for Women and Children (short and long-term shelter), and crisis counseling.